We are one of the renowned manufacturers and suppliers of the wide assortments of the Leather Accessories, manufactured from superior quality of leather and other raw materials. We offer an exclusive range of Accessories such as Smart Leather Bags, Leather Belts and Ladies Leather Bags. We offer customization at comparable prices. 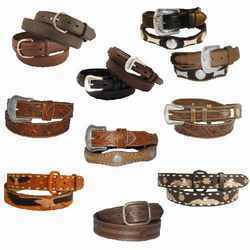 We are offering an extensive assortment of Leather Belts, which is fabricated from highgrade of leather and metals. The entire range is specially designed by our expertise team to make more attractive, comfortable and durable. The buckle of the belt is manufactured from superiorquality of metals in mostattractive way which gives a trendylook to the belt. This range is available with us in various sizes, patterns, designs and colours. We are engaged in manufacturing, exporting and supplying of an exclusive range of Ladies Leather Bags, which are widely acknowledged for its elegant design, trendy look and durability among fashion conscious and trendy women’s. This customized range is available with us in different sizes, patterns, colours, shapes and designs at reasonable prices. Our team of expertise professionals is involved in manufacturing and supplying of the wide range of Smart Leather Bags to our esteemed clients. 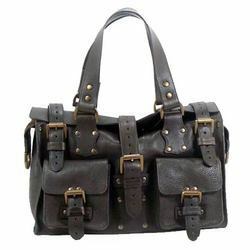 This exclusive range of Leather Bags is well known for its unique features like highly reliable, durable, convenience, comfort and high gleam finish. This entire designer range is available with us at competitive prices.